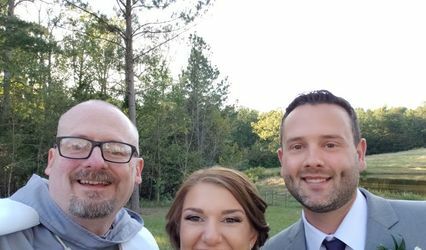 I have been officiating weddings for almost 15 years and love bringing couples together through a memorable ceremony that reflects who they are as individuals as well as the couple they have become. 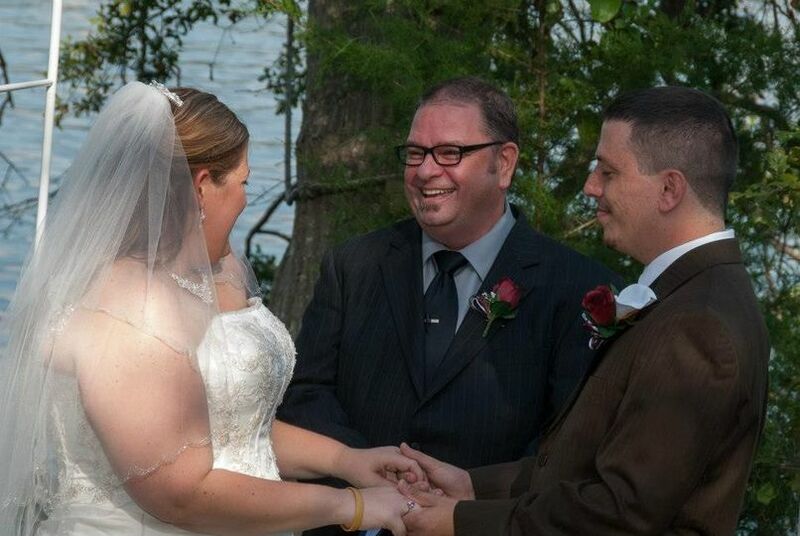 You can provide your own vows, I can help you write them, or I can provide a complete ceremony. 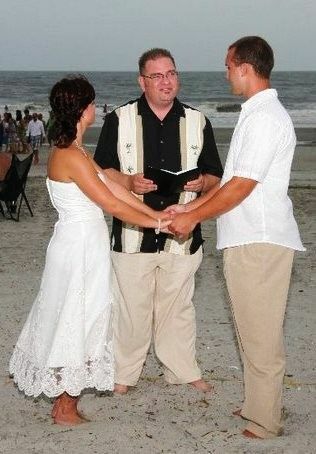 I perform religious as well as civil ceremonies. It's all about YOU and making it truly YOUR day! Robert is a great guy and awesome officiant. He made sure everything ran smoothly and we felt comfortable. I'd recommend his services to anyone wanting to get married by someone who is so friendly. Robert was absolutely amazing! He was great to work with and made sure we got everything we needed or wanted! The ceremony was absolutely perfect thanks to him! 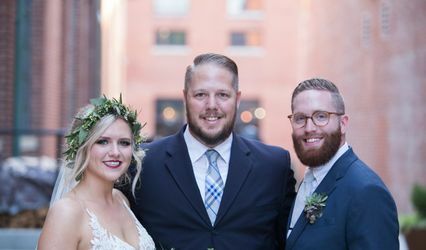 We were so lucky to have him as our wedding officiant!! Thank you again Robert!! 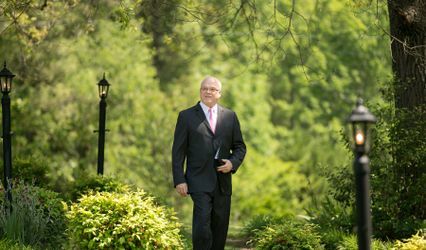 If you are looking for a truly wonderful person to officiate your wedding who is committed to your specific desires for your wedding ceremony, then look no further than Reverend Robert Brooks. My wife and I were married on Halloween day, an unconventional wedding date for sure. But that was no problem for Robert because for him, it's the joy of being part of a couples love and togetherness, no matter what the day. From the moment we met Robert we knew he was perfect for us. He is so friendly and fun to be with. He was very attentive to all of our specific requests, and he helped us with vows by providing several samples to view and build our own tailored vows. He was always available via e-mail or phone and provided great communication the entire way. The ceremony went perfectly. He even wore a period type Pastor robe for our special wedding, how awesome is that? We can't thank you enough, Robert, for everything you did for us. It was such a wonderful day and we will cherish it for the rest of our lives. Thank you so much for being part of our lives on that wonderful day. 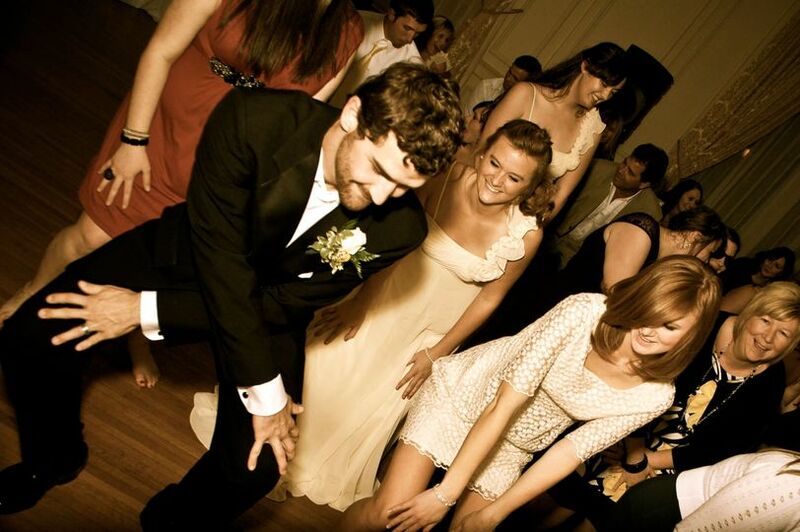 By partnering together, Carolina Wedding Officiants and DJ On A Dime provide couples with awesome combination packages and help lift much of the stress off of couples planning their weddings.